My problem is that my MacBook Air shut off in a sudden, and when I reboot it, many folders on my Macbook Air are gone. I just want to ask is there any way that I may be able to get my data back from this my MacBook Air or its hard drive. I really need to reclaim some important document files from it. Jus like the case above, MacBook Air broken or crash not only makes your device useless but also brings your valuable data away from you. Frankly speaking, your lost data was saved on your MacBook Air’s hard drive. And you can effortlessly retrieve data from MacBook Air hard drive with the help of a MacBook Air hard drive recovery utility. 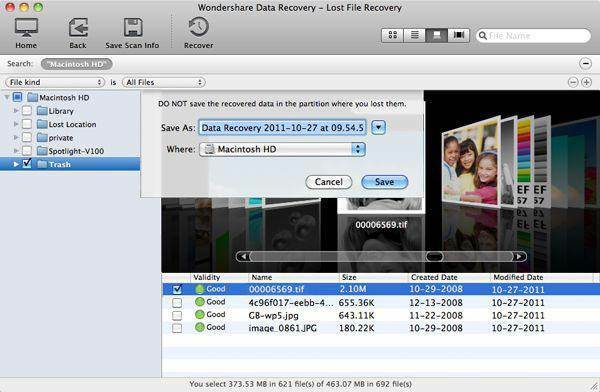 Take Wondershare Data Recovery for Mac as an example, this MacBook Air hard drive data recovery is compatible of recovering data from both healthy and crashed MacBook Air. It helps you to retrieve a mass of file types including photos, videos, audio files, emails, document files, etc. 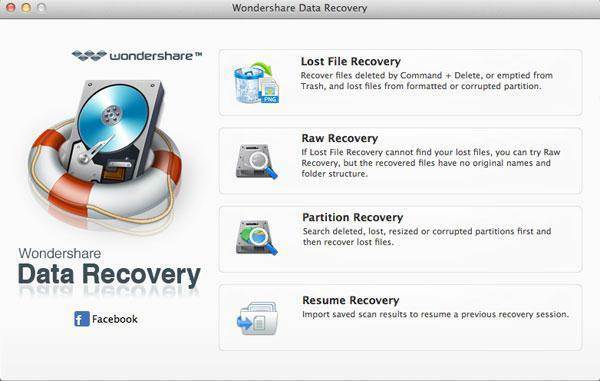 You can download a trial version of Wondershare Data Recovery for Mac and restore data from MacBook Air hard drive in a simple way. If your Macnook Air's hard drive is inaccessible or broken, you'll need to ask Apple official service for help or send it to a service certer for repair. And I'm sorry to tell you that you might not be possible to recover data on it. But if you just can't reboot your Macbook Air and your Macbook Air's hard drive is healthy, you can connect it with another Mac by firewire, then you can get Wondershare Data Recovery for Mac and follow the guide to retrieve data from it. 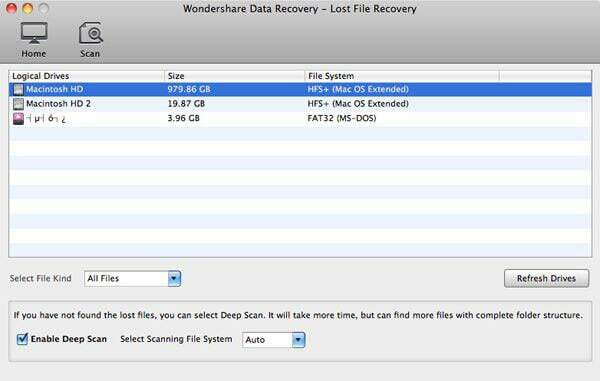 If your MacBook Air can still work, you just need to install Wondershare Data Recovery for Mac on it. After running the program, you’ll get an interface with some recovery options. Please read instructions of them and select the best recovery method for you. Here, we can take “Lost File Recovery” as a try. Note: You have to take out your MacBook Air hard drive and connect it with another Mac if you want to recover files from a broken MacBook Air. Then you just need to select the hard drive you are going to retrieve data from and click “Scan” to search for files on it. Please select the right file system of your MacBook Air hard drive in the window. If your MacBook Air hard drive has been formatted, please select “Enable Deep Scan” option in the window too. When the scan finishes, all recoverable contents will be listed in folders in the left of the program window. You can view file names to check how many files you can recover, and you will even be able to preview the images before recovery. In the end, you just need to select files you are going to recover and click “Recover” to select a folder on your Mac to keep the recovered files. Note: Please do not save the files back to your MacBook Air hard drive during the recovery.